"The ongoing battle between Samsung and Apple devices is raging on and Samsung is taking a more direct approach than ever – Samsung wants to prove that their devices are superior to Apple’s by allowing iPhone users to test out their products for a full month for just one dollar." If you have an iPhone and are looking to upgrade to the latest iPhone 6 or 7 or 8 or whatever numbers they are up to... Maybe you should consider other smartphones. Samsung thinks you should try them out. According the Daily Cell Phone Deals site, Samsung is offering the "Ultimate Test Drive," which is a fancy way of saying that they will let you try one of their phones out for $1 a month. Here is the article: http://dailycellphones.com/2015/08/samsung-lets-iphone-users-test-their-devices-for-a-dollar/ You should check it out for more options. 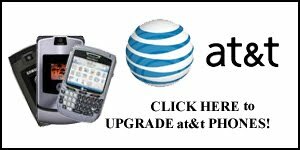 When looking for a cell phone upgrade, one of the great conveniences is the freedom to upgrade to a completely different brand and type of phone!